For a while now, I’ve been ranting to myself about what I call the tyranny of neat people. It happens whenever I stumble on one of those New Year’s articles about de-cluttering your home and transforming your life. You’ll feel better, work more productively and become a more perfect human being, they say, if only your house is tidy. Here’s what I say: maybe the neat people have simply done a better job of public relations for their decidedly limited comfort zone. What if it’s the slobs of the world (including me) who are more flexible, more tolerant and more able to be happy and productive in any environment? I can function in your pristine sanctuary or my own mess; I don’t feel compelled to be tidying up all the time. Given a choice between spending my spare minutes reading and tidying, I’ll pick the book or The New York Times almost every time. I say “almost” because that’s the kind of gal I am—a slob, but flexible, able to adapt to the moment. Between deadlines, or if company’s coming or if the spirit moves me, I clean up. My space is never perfect, but hey, neither is life. So I generally avoid how-to’s that purport to tell me how to win friends and influence people by rearranging my closets. 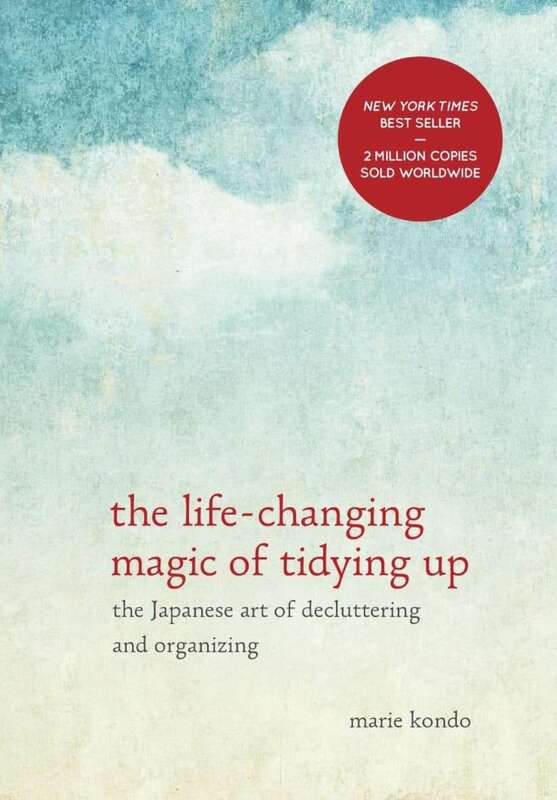 Recently though, I came across one that was different: The Life-Changing Magic of Tidying Up: The Japanese Art of Decluttering and Organizing by Marie Kondo (Ten Speed Press). The title’s hyperbole nearly sent me running for a pile of half-read New Yorkers, but I found myself liking Kondo’s KonMari Method. Most organizers have rules: they tell you to ditch anything you haven’t used in the past year or get rid of one item for each new one you buy. I agree that most of us suffer from the scourge of too much stuff, but numeric parameters seem so arbitrary and more than a little wasteful. Kondo, a Japanese cleaning consultant whose book has sold some 2 million copies, adds a brilliant criterion: eliminate things that don’t “spark joy.” That’s a concept I can live with. Under this rule, I keep the stack of dictionaries that reside on the ottoman in my living room, including the yellowing volume I got in Miss Rodgers’ third grade class. It lay unopened for decades, and if I’d followed the typical decluttering rule, I would never have had the chance to share it with my daughter in her third grade year. I look at it and think of Miss Rodgers. And my daughter. But I do like Kondo’s sympathetic tone and graceful prose. Many of her ideas are interesting, like arranging clothing in a drawer so they stand side by side, rather than in piles; I might try that one of these days. Kondo advises against such a piecemeal approach; she says you should organize your entire house once, and you’ll never have to do it again. That’s too much for this slob. But the idea of eliminating things that don’t spark joy—that’s a keeper. I’ve already used it to streamline some overstuffed shelves, and, to my surprise, it transformed the decision process. So now I have a new rant: tidying doesn’t have to be tyranny; it’s how you go about it.